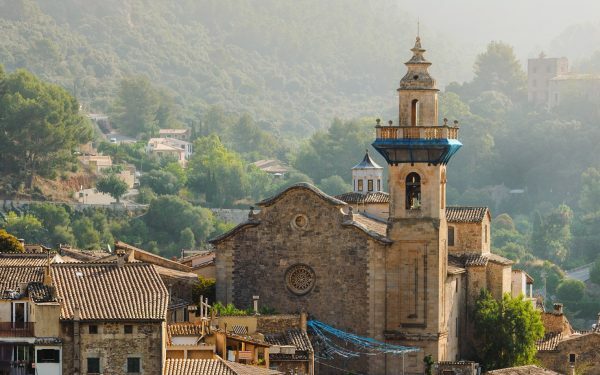 Explore Spain on foot and discover a quiet, rustic side of the landscape, or even a new perspective on this diverse and spirited nation. Our walks have been chosen to take you into parts of Spain barely touched by tourism but rich in history. 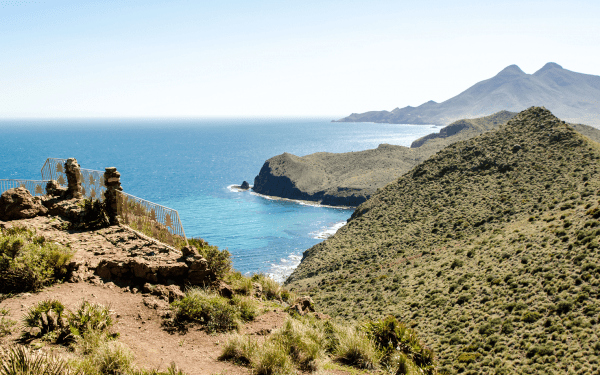 Self-guided walking holidays in Spain present the opportunity to journey through a rugged landscape characterised by deep valleys and rocky gorges, passing through traditional community-centred villages, with Spain’s famous ancient architecture – a melting pot of Catholic and Moorish influences. It’s here that you can end each day walking in Spain in the most perfect way possible, by enjoying Spain’s vibrant Mediterranean cuisine. 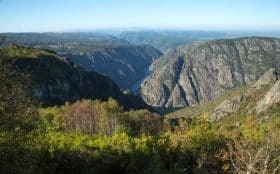 Nature parks, canyons, craters, mountains and miles of beautiful coastline…hiking the network of trails running through Spain has a lot to offer those seeking to broaden their horizons. 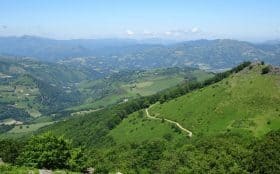 There’s miles of beautiful natural scenery to discover, and you could argue that there’s no better route to discovering the food, culture and traditions of rural Spain than by following rural paths at a walking pace. As you explore the Spanish back-roads, the horizontal red and white markers of the GR (Sendero de Gran Recorrido) are a familiar sight, with shorter trails marked in green and white (Sendero Local), or yellow and white (Sendero de Pequeño Recorrido). Although these trails are quieter than most, the quality of way-marking is generally good, with new routes adapted from shepherds paths and old smugglers trails by the Federación Española de Alpinismo (Spanish Mountain Federation). Spring, early summer and autumn are typically the best time to visit. Here, you’ll long, bright days, with some of the most warm, stable weather conditions in Europe. Our hiking trails focus on the rural character of the places you visit, places that are by their nature ‘off the beaten track’, and as such we couldn’t characterise our trails we offer in Spain as being troubled by crowds of tourists. Walks in the Cabo de Gata and Aragon are best appreciated outside of July and August, where the sun is full in force. A notable exception is the island of La Palma, which with temperate conditions all year round is arguably the nearest thing to ‘a walker’s paradise’. The most common means of getting to the start of a walk is by flight to a major airport, with a connecting train, bus or taxi to your starting point further out into the country. By Plane – Spain’s major airports are served by most international airports, with a growing number of journeys to smaller airports like Alicante and Zaragoza becoming increasingly available. You may need to catch a domestic flight to a smaller airport from Madrid or Barcelona. If you’re travelling to the Canaries or Balearics, its not uncommon to find direct flights from major airports across Europe. All other flights will require a short connecting flight from the Spanish major cities. By Ferry – If you’re travelling to the Balearics, it’s possible to take a ferry from mainland Spain. By Rail – Rail passengers from the UK will need to take the Eurostar to Paris, with a sleeper service to Spain’s major cities. EU citizens are free to visit Spain for any length of time with just their passport, Americans, Canadians, Australians, New Zealanders, etc. can stay up to 90 days. As with all travel elements of your trip, we will advise and provide the information you need on how to get to the start of your walk, as well as how to get back home again following the route’s completion. Your luggage is transferred, accommodation hand-picked and booked, and taxi transfers arranged as part of our standard service. You’ll find a reduced schedule while travelling on a Sunday or one of Spain’s national holidays, which can be an inconvenience. We always take these matters into account when planning your walking holiday, and with our support and careful planning, local aberrations shouldn’t be an issue. By Train – Span’s rail infrastructure has grown exponentially over the years, with new AVE (Alta Velocidad Española) trains creating new ways of accessing rural destinations. You’ll often find that airports and train terminals are well-connected, with a taxi of shuttle bus transfer waiting to take you on your way. If you’re planning on taking more than just a handful of journeys, you want to consider getting a rail pass. Spain’s national train operator is Renfe (pronounced Ren-fay), if you’re planning taking a long-distance journey across Spain, it’s best to book via their website. 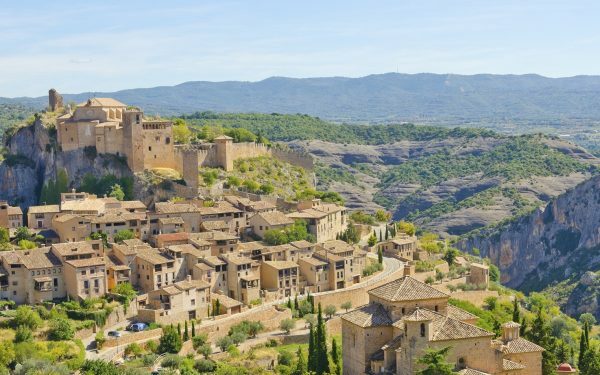 By Bus – Buses are occasionally the only option when travelling to a rural, less connected corner of Spain, and are considerably more cost-effective than the equivalent journey by taxi. Bus timetables are included where necessary, with taxi transfer contact details provided as a failsafe. Taxi – Even the most remote places are served by local taxi companies, with the rate generally being agreed in advance - not on meter. The Spanish language encompasses a broad range of intonations, dialects and autonomous languages that have their roots in the geography and history of the area. 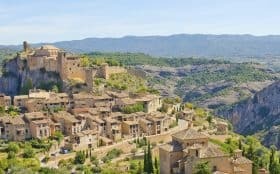 If you’re familiar with the official dialect (Castilian), local variations should be more or less comprehensible, but these regional differences can present challenges for learners. English is the second most popular language in Spain, but you’ll find that English comprehension is minimal in more rural areas – enough to arrange a taxi or order a meal perhaps, but you may not have much luck outside of that. Locals working in tourism or hospitality will almost always have a better grasp of speaking English. Traditional cuisine in Spain is a varied as the land from which it originated, and what you’ll find available will depend largely on the geography of the area. Travelling through the canyons and villages inland, you’ll typically find cured meats and hearty stews, as well as many sweet delicacies. Whereas communities on the coast have traditionally had a strong fishing legacy and you’ll find dishes that reflect this in Andalucía and the islands. Regional wines are always worth sampling, such as the Somontano of the Pyrenees and the Manzanilla sherry of Andalucía. 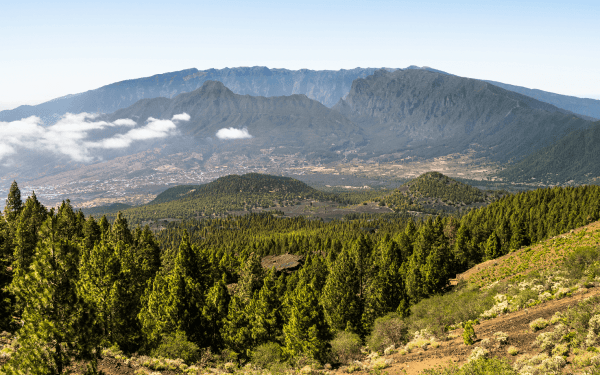 Tenerife is home to five recognised and protected wine growing regions, many of them located on the volcanic mountain slopes of the island. Spain uses the Euro. Most shops, hotels and restaurants accept all major debit and credit cards, although you should always carry a bit of cash on you, particularly when visiting more rural areas or when using small businesses. You will also find an ATM in most small towns. Spain, and mainland Europe in general, are not known for a tipping culture. However, tips are appreciated and certainly not unheard of. Anything between 5% and 15%, depending on the quality of service is acceptable. It is not necessary to tip bar staff as you will usually order and collect your drinks at the bar. Healthcare systems vary from one country to the next and may not include everything you expect to be free of charge where you come from. EU nationals can use their European Health Insurance Card (EHIC) to access the necessary state-provided healthcare in Spain on the same level of Spanish nationals, though the Spanish authorities will determine whether the treatment can wait until the return home. The EHIC card also covers pre-existing medical conditions, though not for anyone travelling with the express purpose of seeking medical treatment. Emergency numbers and contacts are included as part of your walk pack. Roaming charges for calls within Europe have been abolished, but any use of data while travelling is subject to the agreement between you and your provider. Unless you’re set up for using data in Europe, you’ll need to find somewhere with free-fi – which is generally available in cafés, hotel and B&Bs – though this isn’t always guaranteed. If you’re planning on calling Spanish numbers, one option would be get an Spanish SIM card, where you’ll be charged domestic rates. This can be quite handy for finding museum hours, booking tables and calling taxis. 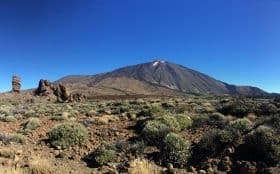 Whilst phone and internet coverage across Spanish cities is generally good, with 4G rolled out successfully in recent years, be aware that rural areas may have limited coverage. For this reason it is best to plan ahead and not rely on them when you are out and about. In towns and villages there will generally be phone reception but not always mobile internet. It is increasingly common to have free wi-fi in cafes, hotels and B&Bs, but not guaranteed.